Blog Guidebook: Hey Etsy Lovers! Etsy is hosting a "getting ready for Christmas" newsletter. Etsy Success Holiday Boot Camp. You might want to check it out if you have something cute you want to market for the upcoming holiday season. 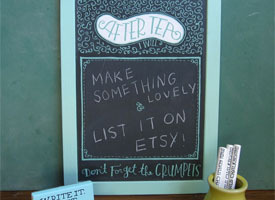 And did you know Etsy has a blog? Check it out! what a beautiful blog. love your "bee calm" poster.